Accusing Awami League of destroying the country's election system, BNP on Wednesday urged opposition parties to forge a greater unity to force the government to hold a fresh election under a non-party administration. "Awami League has become the mass enemy of people by staging a mockery in the name of an election. 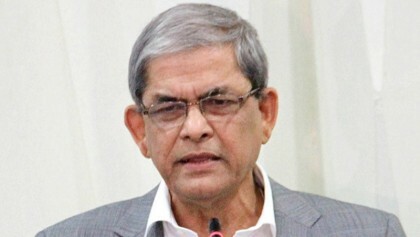 They've got isolated from people after the national election as they destroyed the country's election system," said BNP secretary general Mirza Fakhrul Islam Alamgir. The BNP leader further said, "We've turned down the results of the December-30 election. All the parties will have to get united to have the election annulled. Now we'll have to forge a greater unity, and carry out a struggle to force the government to hold the election under a neutral government." He came up with the remarks while exchanging views with local BNP leaders and activists at a hotel in the district town on his way back to capital Dhaka from his home district Thakurgaon. Fakhrul alleged that the country is now in a deep crisis as the ruling party returned to power resorting to 'vote frauds'. Stating that their party is now passing through a critical time, he urged BNP leaders and activists to remain united and strengthen the party. "Now our main responsibility is to make the party stronger further and forge a greater unity." The BNP secretary general also called upon his party colleagues to wage a mass movement from Bogura to have party chairperson Khaleda Zia freed from jail. Asked whether their party is going to join the upcoming upazila elections, Fakhrul said they still did not finalise their decision on it. Bogura district unit BNP president VP Saiful Islam, general secretary Joynal Abedin Chand, party leaders AKM Mahbubur Rahman, Rejaul Karim Badsha, Helaluzzaman Talukder Lalu and Golam Mohammad Siraj, among others, spoke at the programme.UNB. Accusing Awami League of destroying the countrys election system, BNP on Wednesday urged opposition parties to forge a greater unity to force the government to hold a fresh election under a non-party administration. Awami League has become the mass enemy of people by staging a mockery in the name of an election. 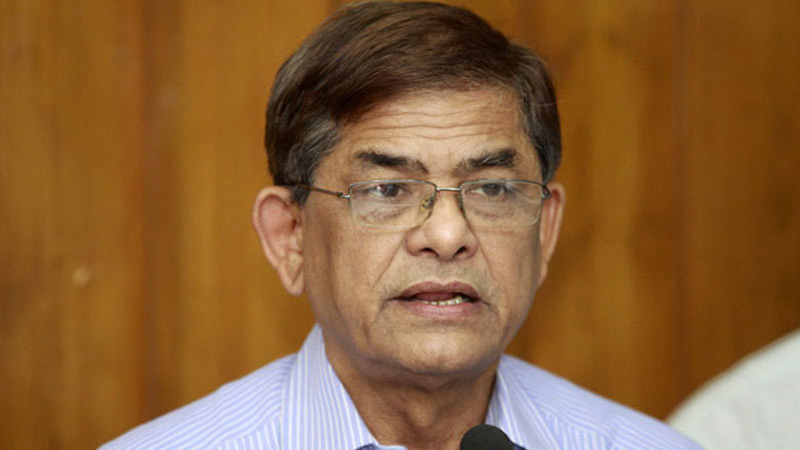 Theyve got isolated from people after the national election as they destroyed the countrys election system, said BNP secretary general Mirza Fakhrul Islam Alamgir. The BNP leader further said, Weve turned down the results of the December-30 election. All the parties will have to get united to have the election annulled. Now well have to forge a greater unity, and carry out a struggle to force the government to hold the election under a neutral government. He came up with the remarks while exchanging views with local BNP leaders and activists at a hotel in the district town on his way back to capital Dhaka from his home district Thakurgaon. Fakhrul alleged that the country is now in a deep crisis as the ruling party returned to power resorting to vote frauds. Stating that their party is now passing through a critical time, he urged BNP leaders and activists to remain united and strengthen the party. Now our main responsibility is to make the party stronger further and forge a greater unity. The BNP secretary general also called upon his party colleagues to wage a mass movement from Bogura to have party chairperson Khaleda Zia freed from jail. Asked whether their party is going to join the upcoming upazila elections, Fakhrul said they still did not finalise their decision on it. Bogura district unit BNP president VP Saiful Islam, general secretary Joynal Abedin Chand, party leaders AKM Mahbubur Rahman, Rejaul Karim Badsha, Helaluzzaman Talukder Lalu and Golam Mohammad Siraj, among others, spoke at the programme.UNB.